Pioneer clearly seek to own DJing – and they’ve now got a pretty solid play for every piece of that landscape. The latest piece: a direct drive turntable with USB connection, ready to play, scratch, or work with control vinyl (and Pioneer’s increasingly ubiquitous Rekordbox software). Price: US$350 – affordable enough to appeal to even casual DJs as a set of two. Vinyl is fast looking less like specialist equipment or niche fad, and more like the last man standing in music sales and an essential part of DJing. So it fits that, even in the home, a turntable is suited both for DJing and playback. And that’s what the PLX-500 promises: it’s advertised as ready to scratch (thanks to direct drive operation) and is even compatible for cueing or scratching digital via Rekordbox and optional control vinyl. 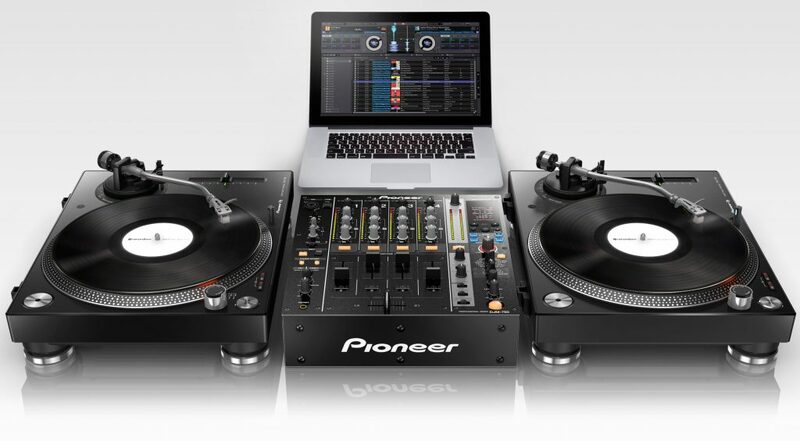 The pricing is aggressive, relative to the other Pioneer decks: suggested retail US$349 or €349 / £269 in Europe. How do you decide which to buy? Well, the 500 is a plug-and-play solution for home users. So you’ve got built in preamps (so line in and line out are built in), built-in USB interface (mainly with an eye toward letting you digitize your vinyl collection), and a lower cost. The “pro”-focused 1000 assumes that you’ll want to use your own turntable amp and interface – so that’s not so much diminished value as it is a nod to more serious users. You can detach input and output more easily on the 1000, essential for use in the booth and studio and whatnot. 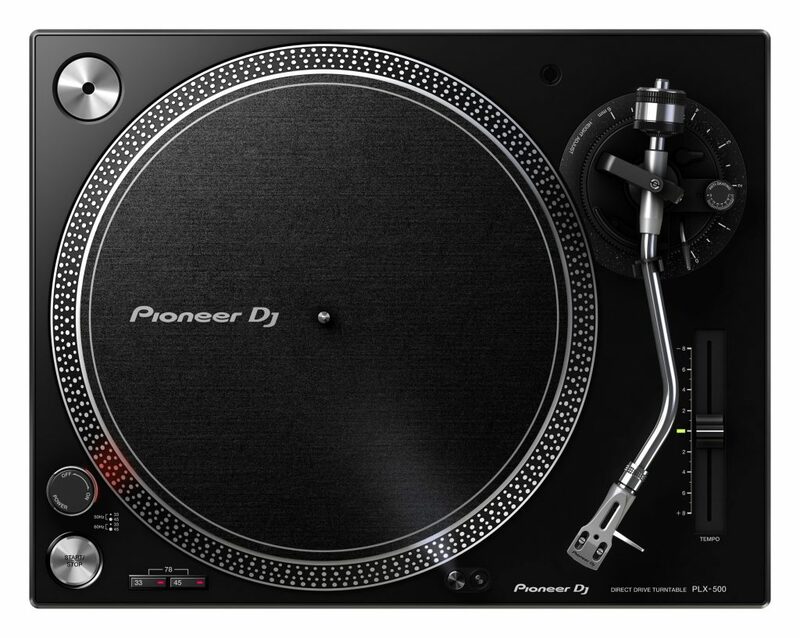 But most crucially, the 1000 has what Pioneer tells CDM is a “durable platter designed for professional DJ-ing.” That’s really everything, because the whole selling point of the PLX-1000 is its unparalleled stability. In fact, I’ve heard nothing but rave reviews from DJs using the PLX-1000 everywhere it’s been installed. The verdict: it’s better even than the legendary Technics SL-1200 that had been the gold standard. And just in case you weren’t already seeing enough Pioneer logos in clubs, I’ve noticed the PLX-1000 has increasingly been supplanting Technics decks, especially as they’re retired. So while I don’t yet know what the platter mechanism is on the PLX-500, it’s clear that’s the main thing you’re buying when you invest in a PLX-1000. On the other hand, home use is generally far less treacherous than a club install. Ironically, of course, you can get a pair of PLX-500 turntables before you’ve even gotten to the cost of a single XDJ digital player. Tables have turned, so to speak. USB for recording. Digitize with the free Pioneer Rekordbox app – which will even detect silences and slice up tracks into different files for you, ready to tag. (Hmm, how long before even the tagging is automated, I wonder?) And of course, this also solves the problem of DJs just dabbling in vinyl – because they can just add their favorite records to their collection easily, with the hardware already on the decks and the software to which they’re accustomed. The whole thing weighs under 11kg and comes with everything you need. There’s a USB and phono/RCA jacks. And you get a bunch of accessories in the box: slip mat, dust cover with jacket stand (cute), adapter for EP record, balance weight, headshell (with cartridge), shell weight, power cord, USB cord, audio conversion cord (Stereo pin plug (female) to stereo mini plug(male)) – all in there. All in all, I think this is a pretty powerful offering. With just one product, Pioneer are answering a lot of different users’ needs – from digitizing those records you just collected to being able to DJ with them to an inexpensive turntable that you can scratch on.